Yogscast broke the news yesterday that they couldn’t deliver on Yogventures, the open-world survival game they helped Kickstart in 2012. The ambitious project had proven to be beyond six-man team Winterkewl, who are now headed for probable closure. Yogscast have issued Steam keys for a different game, TUG, to backers – “in many ways” the survivalist experience they hoped Winterkewl would make. And they’ve issued a second statement on the “deep regret” they feel for Yogventures. 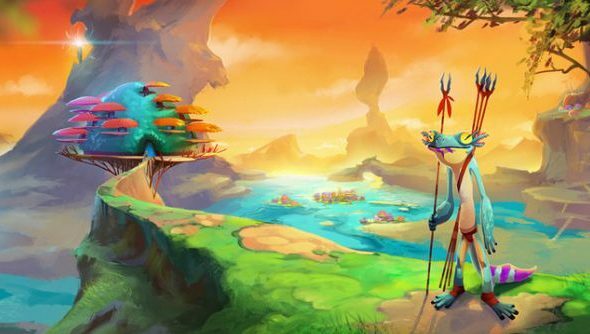 “The game as it stands it is not capable of being released and certainly wouldn’t live up to the expectations of the people that backed the Kickstarter or pre-ordered the game,” wrote Yogscast. Yogscast said that the game’s failure was a “matter of deep regret”. Yogscast are aware that Yogventures backers constitute their “most dedicated fans”, and say they are determined to make up for the missing game. That effort begins with an alpha copy of TUG. “In addition, we have organised for Nerd Kingdom to have the source code, assets and designs of Yogventures to ensure we’re making best use of Winterkewl’s work,” said Yogscast. There is also the matter of backer rewards. Physical prizes have already been distributed, but other tiers promised in-game items for an open-world adventure that will now never exist. Instead, Yogscast are working with TUG’s developers to come up with direct equivalents for that game. Yogventures pledges ranged from $15 to $10,000, and Yogscast aren’t offering refunds – so they have a lot to live up to yet.